In medium bowl, mix beans and salsa. Microwave uncovered on High 2 to 3 minutes or until hot. TIP! Nachos are easy to customize. 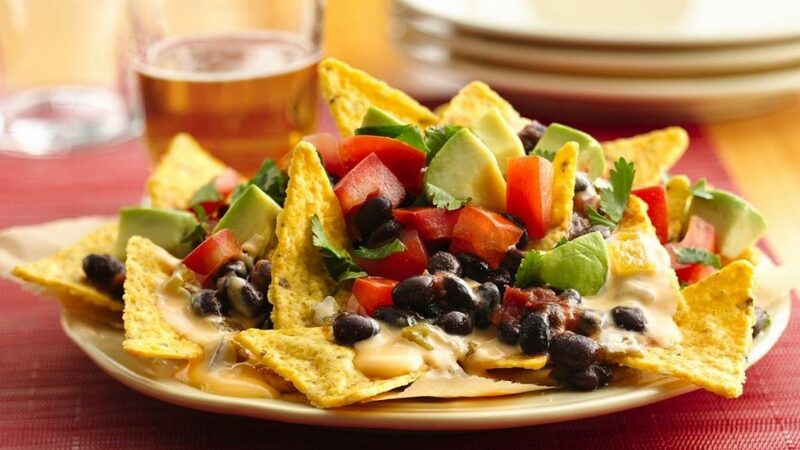 Reduce the fat by using baked tortilla chips. Add extra flavor by piling on the vegetables.